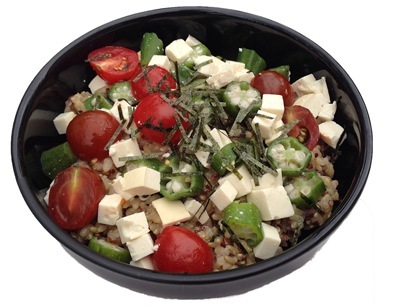 Qunioa brown rice with silken tofu, tomatoes, edamame, and okra… all mixed in with organic black tea-infused soy sauce. 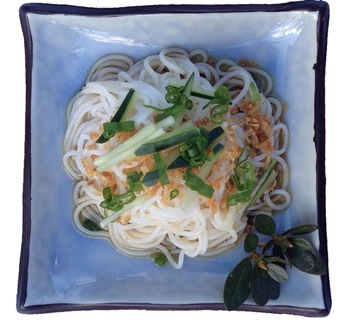 Our most popular dish has thin noodles dipped in organic black tea broth with cucumber, green onions, and panko. Finger food at its finest. Dip our delicious chicken dumplings in sweet soy sauce! Did someone say sriracha? 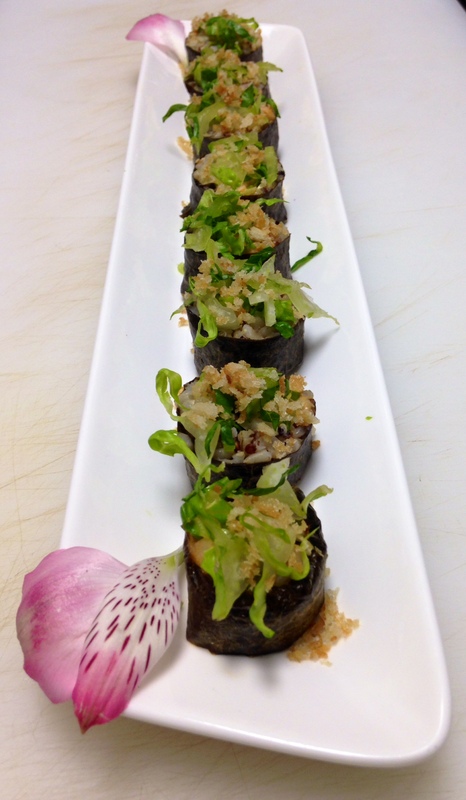 Our delectable cream cheese, quinoa brown rice roll with shrimp packs a lot of flavor with each bite. 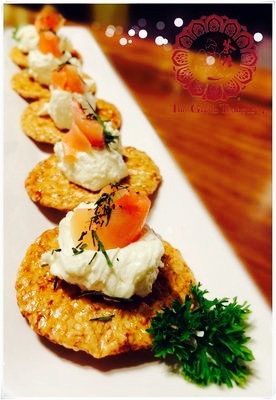 A traditional snack of ours: smoked salmon and cream cheese go super well with sprinkled jade green green tea. Display this article at The Green Teahouse to get 50% off your second order of tea!